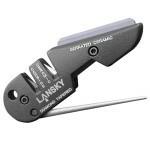 An EDC (EveryDay Carry) knife is the most comprehensive and most useful tool for everyday use. 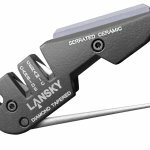 It’s commonly used for various operations such as opening envelopes, boxes, unscrewing screws, cutting zip ties, food and all kind of stuff and also as a self-defense weapon. EDC knives come in different shapes, colors, qualities and materials. They also differ with the locking mechanisms. Knife has to meet certain criteria to be suitable as an Everyday-Carry item. Choosing the best one is not as easy as taking one from kitchen and acting like it’s superb for carrying around and doing all kind of stuff. And it might be illegal in your state. 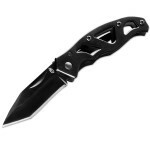 EDC knives are much more durable and made of strong and high quality steel. What to think about when buying one? First and the most important question is – what kind of knife are you looking for? You will carry it on daily basis, therefore it must have a high quality folding mechanism. 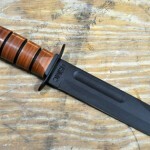 Or in case you are looking for a fixed blade, a high quality sheath. A knife that isn’t strong and solid in opened position is worthless and dangerous. The locking mechanism must work flawlessly. Who would like to carry a heavy uncomfortable piece of metal with him everyday? Being lightweight makes it easy for you to carry and practical to use. There is plenty of materials which are strong, robust and lightweight at once. On the other hand, bigger and heavier knife might be more comfortable and better fit for your palm. What is worse than a knife slipping out of your hand every time you try to use it? One that will slip out of your hand in a life threatening situation. Handle must be comfortable to hold and have a good grip. If you are one of those with bigger hands, bigger handle is highly recommended for you. It would be a shame to buy an expensive and technologically advanced knife that looks terrible. Especially when there’s so much to choose from . There’s plenty of them which are both good looking and very functional. A clip is very useful for carrying. If it is important for you, look for this kind of information. Serrated part is useful for stuff that is not easy to cut. Such knife can cut smaller branches easily. Does it comply with your state law? Some US states allow carrying knives up to 5.5″ blade length others only up to 3″. Take this into account when buying one. Research your state law about knife carry. Here is a nice table: http://thefiringline.com/library/blades/knifelaws.html. User experience is the most important part. Good review can tell you more than any other source of information. Owner of the knife can describe it’s downsides and upsides precisely. Information about blade material is important, but reading the real user feedback is priceless. Every-day-carry knife is supposed to be with you every-time you go out. Its range of use is huge, from opening cans, boxes to self defense. What are the most common uses? Well, it’s up to you how you will use it. Knives are awesome helpers in a lot of common situations. Often they become life-savers. Possibilities of use are endless. What are the usual EDC items? Why do people carry all these stuff? Most of these things like mobile phone, keys or cash are items of daily need. Yes, we need them everyday. Life without taking anything with myself today will be very hard. How would you pay? What if your employer calls you and your mobile phone is at home? But not all EDC items are needed on daily basis. Actually there are things which are used very rarely. And those are items needed only under extreme circumstances. Great example is a stun gun or pepper spray. There’s no need to carry it around, you don’t use it regularly. But it’s good to have it in an extreme situation, e.g. being attacked by somebody. It may also make you feel more confident, and less fearful in not as safe situation. An EDC knife is not just a tool great for emergency situation. Such a thing can be useful on daily basis. There are lot of situations where a knife would be a great helper. Opening an envelope or a box? No longer a problem. Do you need to cut your apple to two halves? Take out your stylish knife and do it. There are also multitool knives or knives with LED lights which might be used in hundreds of different situations. What do people use everyday carry knife for? Some people use it to clean their fingernails! And there are lot of other uses unlisted. A knife is amazing tool that can be used for such a high amount of jobs. Share your most common use of these knives with others in discussion! If you are interested in more than EDC, wikipedia has some great information about all types of knives. Who carries a knife all the time?! There are a lot of people – both online and off – who seem to have the same concern-laden question, “Who the hell carries a knife all the time?” I carry a knife all the time. In fact, many people do. It is my firm belief that a gentleman should always carry a knife (ladies, too, of course). Why? They’re incredibly useful tools. I use my knife frequently and I don’t believe that I would be as productive without it. From trimming threads and opening packages to the traditional “emergency” scenario, I can perform tasks I otherwise couldn’t without the use of a knife. I’m not sure the origins of the question itself, but many who ask seem to feel that a knife is principally a weapon. Sure, some people carry knifes with a defensive intent. Me? Not so much; I am in no way proficient with the use of a blade as a self-defense tool. We can just agree. There is not such an universal and practical tool as a pocket knife. It’s hard to realize for people who do not use one, how handy such a tool can be. Great Christmas and birthday gift for men! It’s hard to find a valuable and suitable gift nowadays. A big choice of electronics, wines, clothing makes it very difficult to decide what to buy. A knife is a great idea for most guys and men. It’s handy, it’s stylish and you can take care of it – men love it! Imagine how they love to clean and tweak they cars. They would definitely love to sharpen their blade. Choosing from big selection of different knives is hard. Follow this guide, start from the top of the page and you can’t go wrong. 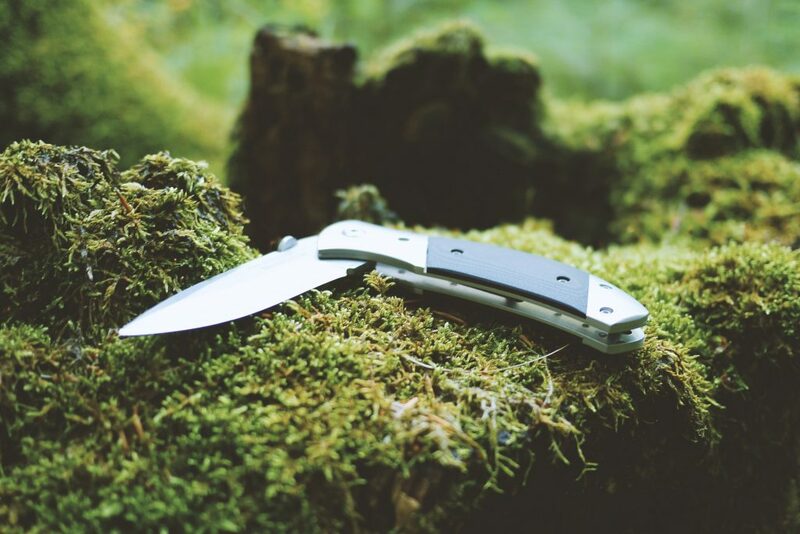 Most people will be very happy with their first folding knife – no matter what brand or kind will it be. Best advice is to buy the most favorite one among the big range of happy users. If you are unsure which one to buy, you can’t go wrong with a gift card ! Folding knife can be as useful for woman as for man. Basic uses like opening envelopes. boxes, cutting food, threads on clothing etc. are same for both men and women. And what is absolutely great, there are some awesome designs for girls! And also the female part of the community of EDC-ers (people who are thinking about what should they have with them all the time and sharing their ideas with others) is growing all the time. One very polarizing subject that continues to come up in the news and in daily normal conversation is the right to bear arms. 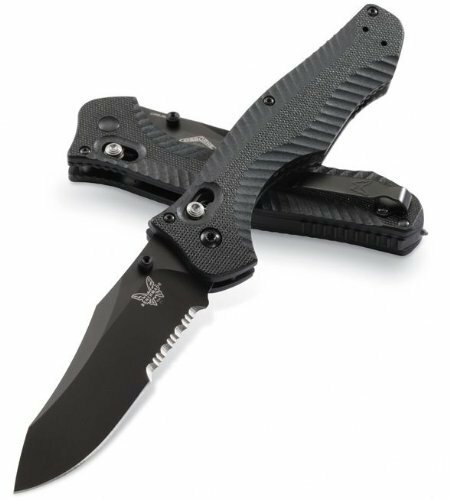 Now, the right to bear arms usually pertains to guns but lately, because of some instances wherein knives have unfortunately figured into some untoward occurrences, even the right to carry a utility knife has come into question. Okay, now here’s the thing that many people would like conservatives to know: Although both guns and knives can be used for defense, guns are primarily used as an instrument for killing while a knife is primarily a tool for cutting. On that note, it can be debated that knives, because they are primarily used as a tool, should be allowed for carrying just anywhere. Just how big of a knife should you be allowed to carry around? Not all knives are created equal. Some are especially good for cutting while some are definitely designed for self-defense and killing (for example: military knives). Given that, what characteristics and usability should a good EDC or Every Day Carry Knife have? A good and practical tool should be small. This isn’t only for portability and concealment purposes but also to make it easier to explain why you’re carrying around a “bladed weapon” as most authorities would call it. So, if you’re planning on carrying around a big bowie knife, that might not go over too well if you bring it along in a more “civilized” setting like a shopping mall or a dinner party. Leave those big things at home for trips to the wilderness. A good-sized one has a blade length somewhere around 3 to 3 ½ inches. Anything more or less than that can be deemed unnecessary or just plain useless. Since size is a huge factor, it ultimately affects portability. A small knife which is easy to conceal is deemed as highly portable. You can go both ways with this. You can either go for a set knife or one that folds up. A set knife is one which is fixed and needs a scabbard to carry around. This increases the size of the knife to almost double the length of its blade, giving you a knife that is 6 to 7 inches in length. The folding knife, on the other hand, keeps it to under 4 inches in length, making it easier to carry around. Some would also suggest a switchblade since the blade retracts into the hilt. But then, most switchblades aren’t really that practical to carry around as EDC knives since they have narrower blades which aren’t very useful for cutting things. EDC knives are meant to be carried around in order for the carrier to be able to use it when they need it most — for cutting up something, for opening a letter or a taped package or box, etc. And that’s why build quality comes next. It’s pretty obvious that the most common EDC knives out there are made from stainless steel. The reason for this is because stainless steel is pretty strong and is easy to clean. You can opt to go for the more fancy options like carbonadium or Damascus steel. These knives are made of great quality but because of the beauty they possess, they usually get relegated to just being showpieces and don’t get to see a lot of action — which is definitely not the reason why you got it as an EDC item in the first place. But of course, a beautiful-looking tool in your hands wouldn’t hurt as long as it’s more useful than beautiful! The last but definitely not the least feature that it has to have which is usability. You can have the best-looking knife or the most expensive one in the room but if you can’t use it for whatever reason, then you’ve just wasted a lot of money on it. A blade should have a good cutting edge that is sharp enough to cut through anything. There are usually three sides to a good knife. The first, obviously, is the bladed edge which should be sharp enough to cut through anything with minimal to no effort. The second one would be the flat edge where you usually push on with your palm for added pressure, if you’re trying to cut something which is a little bit harder or firmer. And lastly, there’s the serrated edge which looks like saw teeth, located usually on top of the blade where it meets with the hilt. This serrated edge is very useful for sawing off tiny branches when you need firewood for kindling. When all is said and done, the most important thing about EDC knives is not in the tool itself but in the user. You need to understand that it is a tool first and foremost and utter care should be practiced at all times. After all, it is your responsibility to use that EDC knife properly! I think at minimum a pocket knife is an absolute must for man or woman. It is like a watch. Some people never bother to buy one, and then they are always asking others what time it is. While I despise multitools my EDC pocket knife is a Leatherman Style CS. The scissors are sharp and strong enough to cut my finger nails, or strip wires or such, the blade is a bit small but scalpel sharp for opening packages, cutting electrical tape, scraping paint off glass, and the small file? You ever get one of those burrs or splits in one of your nails and it starts catching on your pocket, or everything you touch and eventually your nail is split deep and you have to tear it off? Well, not when you have this little file. And it is good for other emergency filing jobs. And there is a bottle opener. My EDC big knife is a older CRKT folder. 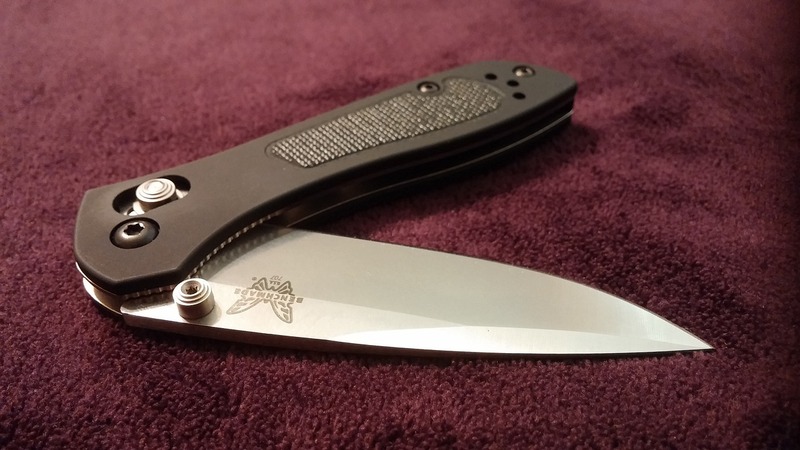 The assisted open is great, the minimalist grip is solid, and it is a worthy knife…. but I am starting to not like serrated knives that much. So, looking for a standard blade. No cold steel knives. Screw you guys. WAS IN AUTO CRASH SEAT BELT WOLD NOT OPEN SO I HAD KNIFE IN CAR USED IT TO CUT MY SELF LOOSE SO NOW I CARRY ONE TO MY LIKING SO USE YOU OWN JUDGEMENT ON WHAT TO CARRY. Spyderco dragonfly 2 is the best deck knife of 2014. Spanish Cudeman MT series, very, very good quality knives in folding and survival. The MT5 is even better then the fallkniven F1 at half the Price.